This was a one-off project for us, sort of a side project for me. I wanted to put together an online resource to help stutterers by learning how to balance their brain chemistry. 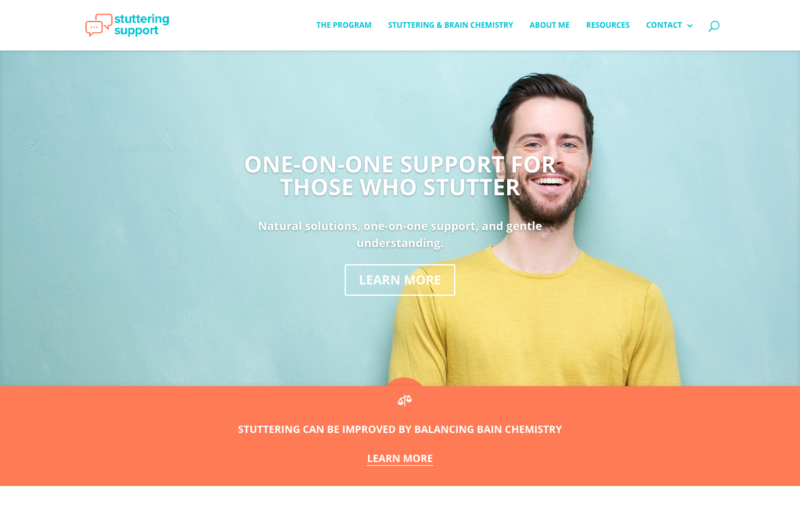 This is a personal passion project of mine, and the intent of the site was to create an online reference for a different way to look at stuttering therapy (by focusing in on the brain and specifically neurotransmitters).